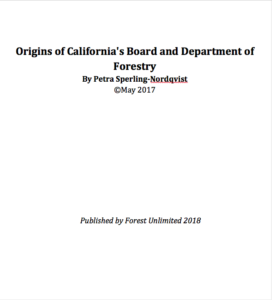 Forest Unlimited has commissioned a history of how the Board of Forestry, the California Department of Forestry and the Forest Practice Act came about. It’s a scholarly work explaining the epic battle over many years between forest activists and the forest industry as they pressed the legislature for forestry reform. 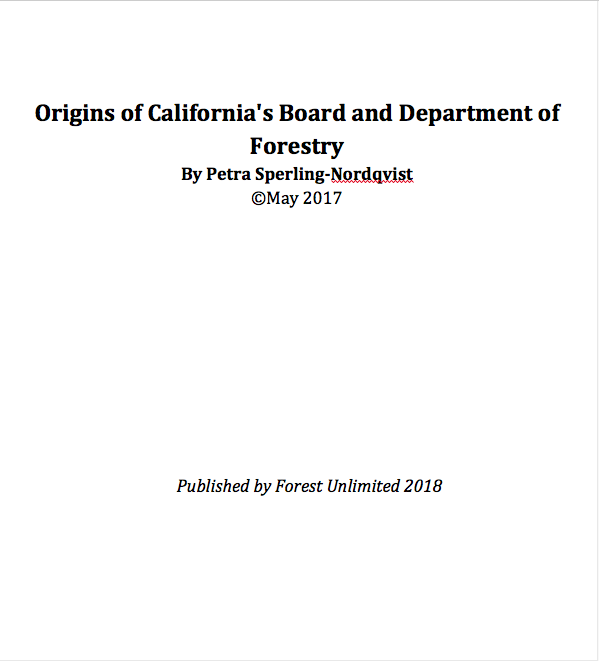 This booklet is an important reference for anyone hoping to understand the origin of logging review in California. For a $10 donation, we will send you a copy. Just click below and provide your mailing address.